Winter baptismal kit for boys. Beautiful combination of colors, in blue and burgundy. The blue wool vest with burgundy leather details matches perfectly with the burgundy trousers and the burgundy cloth bow tie. The set is completed with the white shirt. 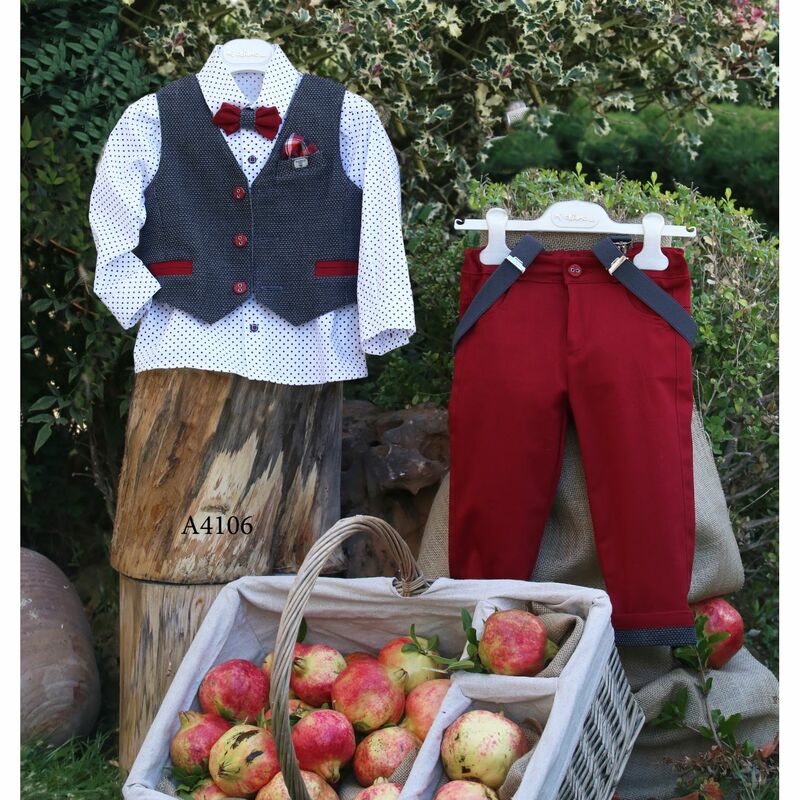 https://www.preciousandpretty.com/2018/02/winter-baptism-suit-for-boys-A4106.html Greek Wedding Favors|Orthodox Crowns|Stefana|Baptism Invitations Winter baptism suit for boys A4106 Baptismal clothes for boys.Blue wool vest matches with burgundy trousers and white shirt. Product #: Greek Wedding Favors|Orthodox Crowns|Stefana|Baptism Invitations_548518571196629672 5 stars out of 5 reviews.